Happy Labor Day! How was everyone’s weekend? Mine flew by as it always does but it was so relaxing which was just what I needed. This post is slightly random, but let’s get’er started. In preparation for some fun colon excitement to come, I needed to be on a low-fiber diet starting Saturday afternoon, and all day Sunday. 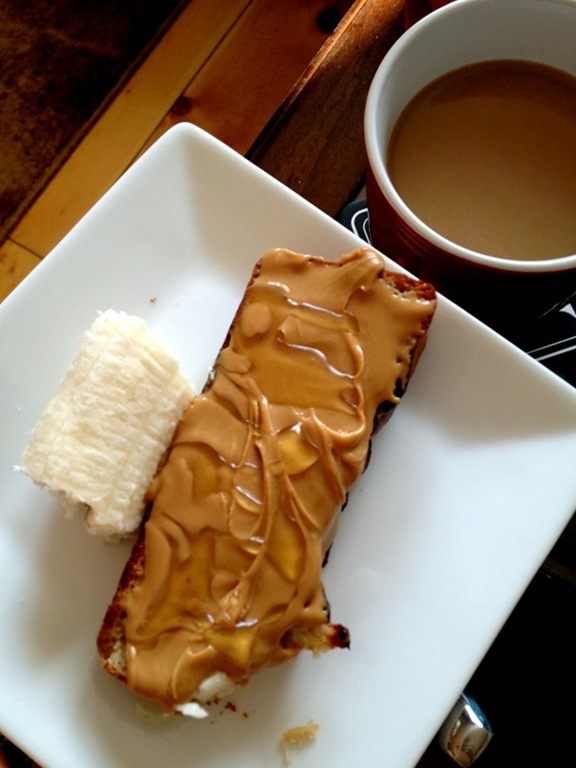 Breakfast: gluten-free almond bread with smooth creamy peanut butter and honey, a bite of banana, and a cup of coffee. I ate breakfast while looking through the Sunday paper of course. Bummer, no coupons yesterday, but a nummy breakfast at least. 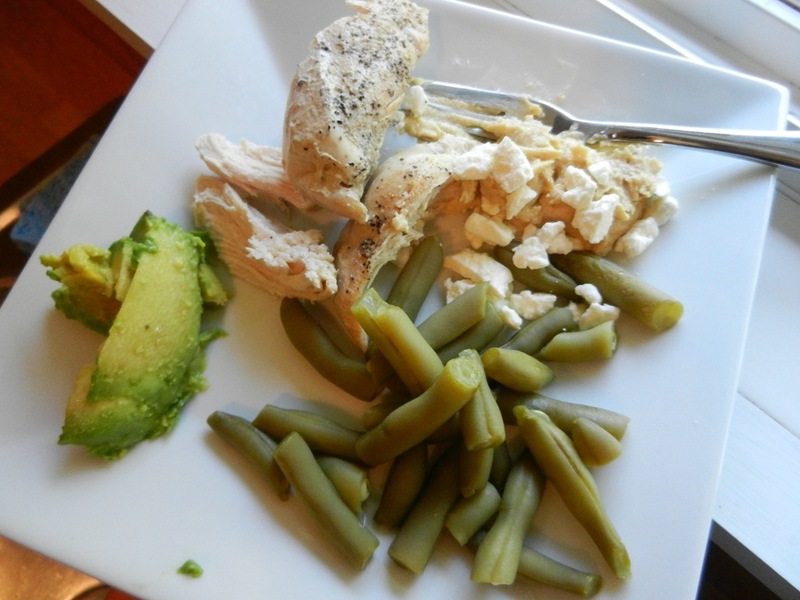 Lunch: chicken breast with hummus and feta cheese, avocado, and canned green beans. It doesn’t look very appetizing, but it actually was pretty good. I finished lunch off with a little bite of peanut butter. 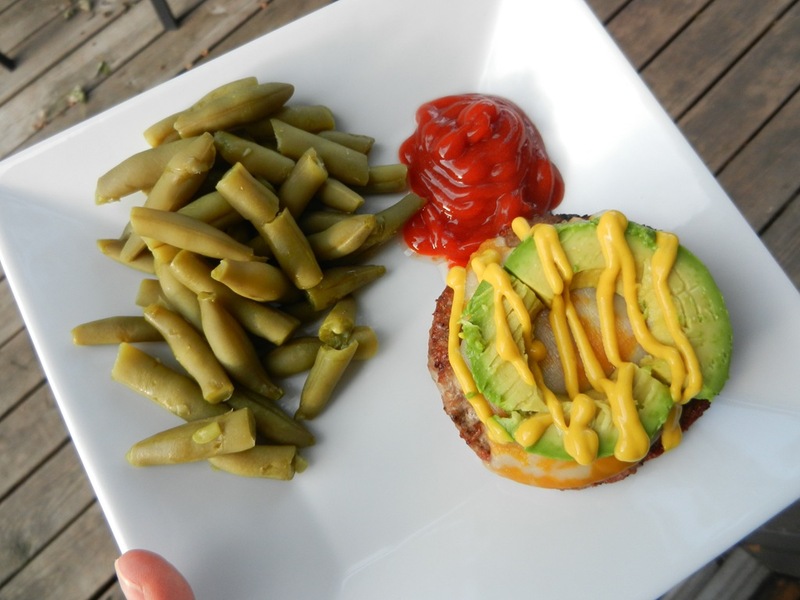 Dinner: grilled turkey burgers with cheese, avocado, mustard and ketchup, and a side of green beans. For dessert, Dana and I whipped up a batch of chocolate fudge Jello (sugar-free) that we made with almond milk and we also ate some of our first candy corn of the season! 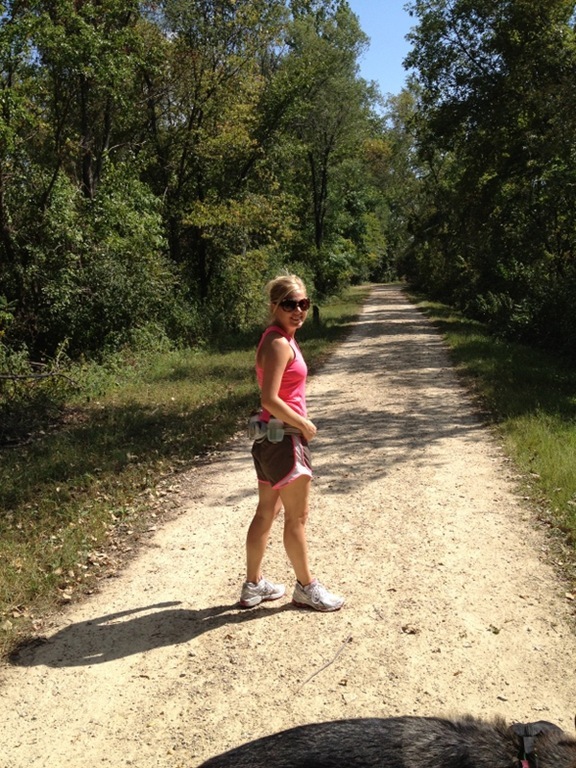 Back track to just after lunch; Dana and I geared up for a hike. There is a trail alongside a major highway about ten minutes from our house that we have been wanting to explore for the longest time, so we decided that yesterday was the day to do it. I grabbed the fuel belt and loaded it up with water, Dana grabbed the waist leash for Moose, and Moose grabbed his portable foldable water bowl, and we hit the trails. 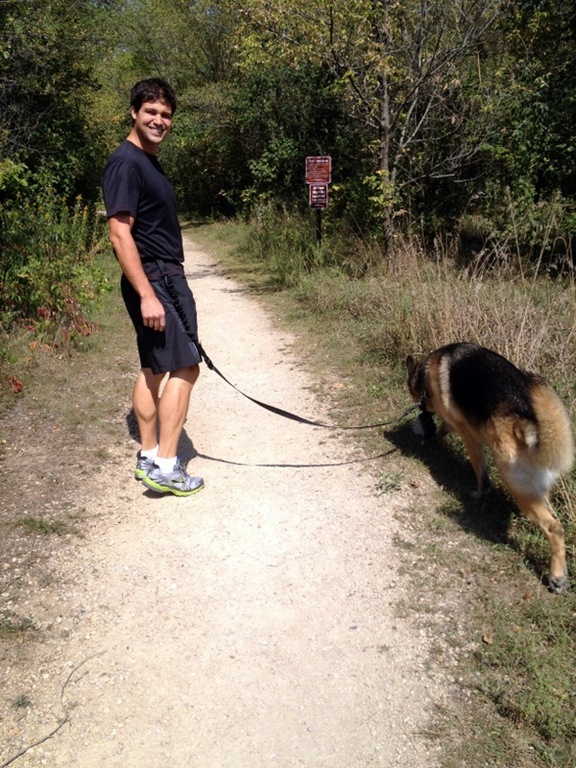 It was pretty warm out yesterday so we called it quits after about 2.6 miles. I was really impressed with the area though. It was gorgeous. I can’t believe I’ve never been there before. 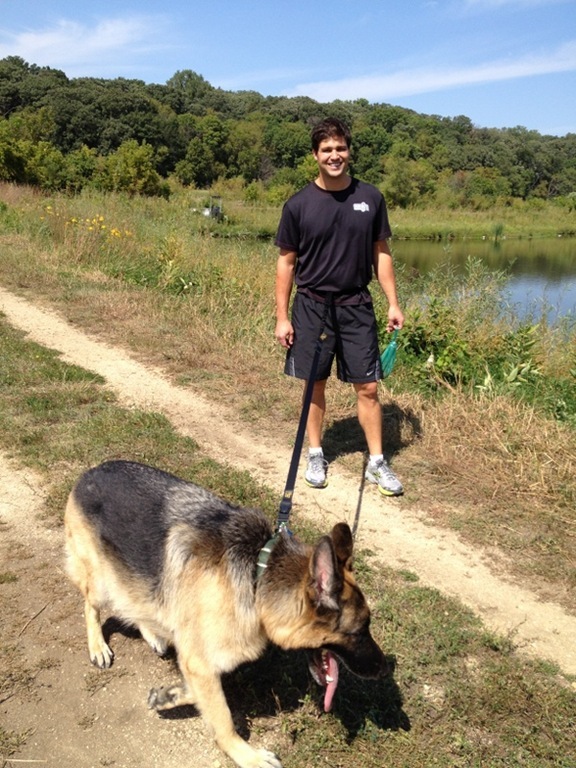 Dana and I decided that it would be a perfect place for a morning run. We will be going back for sure. 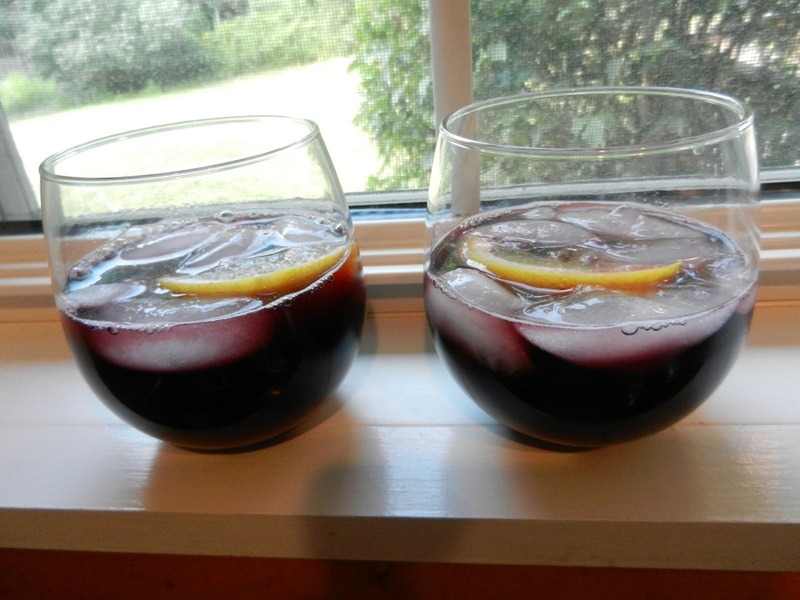 On Friday night before we left for Adam and Allison’s wedding, I invited Dana to join me in a happy hour in our kitchen so that we could try out a bottle of sangria I had been given to sample. I am a HUGE sangria fan, so I was pretty darn excited about this one. 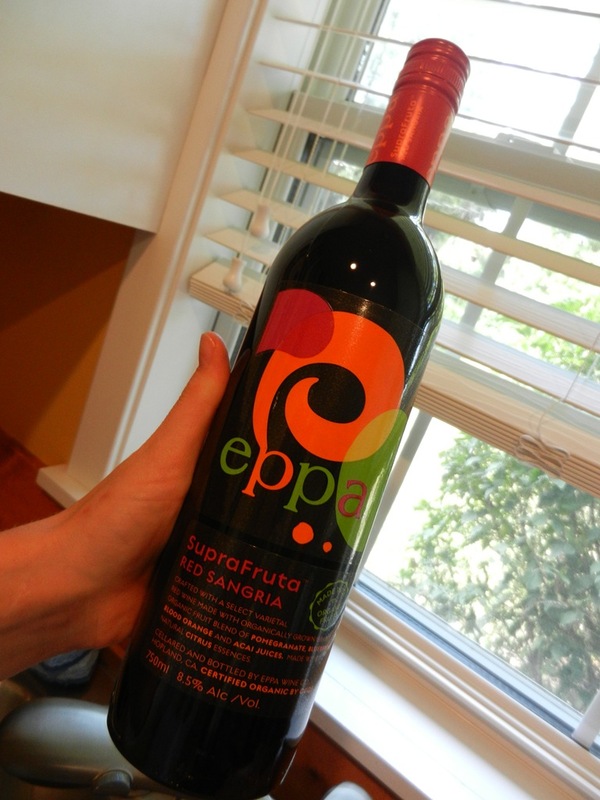 The product is called Eppa Superfruit Sangria. Eppa’s sangria is certified organic and is made up of antioxidant rich fruits including pomegranate, blueberry, blood orange, and acai. One glass of their wine has twice the amount of antioxidants than a standard glass of wine. The taste test verdict? Loved it. It is smooth, fruity, and refreshing. The perfect happy hour beverage, out on the boat beverage, or just “in need of a glass of wine after a stressful day” perfect beverage. Eppa is starting to become available in stores (some Whole Foods carry it), but you can also order their product from their website. Of course you must be 21 years or older to order. Great organic product. I would highly recommend it to anyone. On with my day….I have a few things to do around the house, some errands to run, and possibly a workout on the agenda. Which reminds me, I almost forgot to mention that for the month of September, I have made the commitment to doing at least 10 push ups everyday. If I’m feeling more ambitious certain days, I will do more but every day I will complete at least 10. My push-ups are knee style, but I am hoping to build strength again to do normal ones again. Baby steps. Would you care to join me?! If you are on twitter, follow me @NuttyMelanie and use the hash tag #dropandgimme10 otherwise feel free to leave comments on my blog so that we can motivate and support each other to stay on track! This entry was posted in Breakfast, Health, Home Life, Moose, Workouts and tagged Eppa Sangria, Hiking Trails, low-fiber, Push-Up Challenge, Strength train, U.C. by Melanie. Bookmark the permalink. That turkey burger looks delicious! I love pushups. I really think they’re one of the best total body workouts and they’re so easy to do anywhere! I attempted to do the 100 push up challenge once, I stopped and never reached 100 but I sure built up my strength! Was the goal 100 pushups in a row? !